Recent researches have shown disturbances in the regional microcirculatory bed in periodontitis that leads to changes in metabolism, inflammatory and degenerative processes in periodontal tissues. Pulse ElectroMagnetic fields (PEMF) in the action of biological structures alter the redox processes and tissue metabolism, increase levels of auto antibodies, improve blood rheology and microcirculation that determines the anti-inflammatory, regenerative and reparative properties of PEMF. The absence of data about the effect of weak magnetic fields in the low frequency of periodontal tissue defined the purpose of this work. Treatment was given to 25 patients of mild to moderate periodontal disease severity. All the patients were removed dental plaque and perform a pulsed magnetic field of low frequency acoustics of the device “Magofon” designed, among other things, for the treatment of dental profile. The treatment consisted of 10 sessions of 5 minutes. Inductor possess externally on the skin, through the closure of the teeth on the left, right and in the anterior region. Each field exposure time was 5 min. Treatment was given daily. Patients with periodontal disease of mild to moderate degree, after 5 treatments, showed a significant improvement: it reduces bleeding gums, disappeared discomfort in the gums and bad breath. After treatment there were no complaints from patients. In an objective examination – disappearing phenomenon of inflammation, gum compacted became paler. Positive effect after a course of magnetic therapy occurred in 76% of cases. 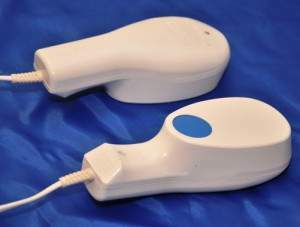 The resulting effect of the use of a pulsed magnetic field of low frequency and low induction and no contraindications can be recommended for widespread use in the treatment of periodontitis. Just imperfect shape and size inductor severely limits the widespread introduction of this method in the clinical treatment of parodont diseases. Further development of inductors appropriate form for the impact directly on the periodontitis significantly increased the effectiveness of treatment, simplified method of exposure, expanded indications for the use of the magnetic field in the treatment of periodontitis. Moscow State University of Medicine and Dentistry.